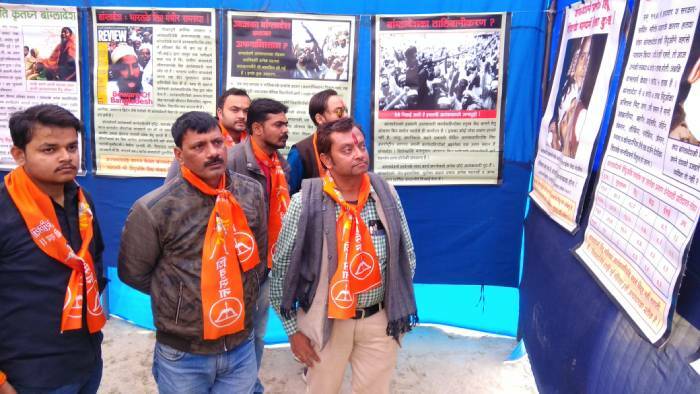 Prayagraj (Kumbhanagari) : Hindu Janajagruti Samiti (HJS) has held photo-exhibition ‘FACT’ showing grave truth about atrocities against Hindus from Kashmir and Bangladesh. This exhibition has been held from 15th January at ‘Bhuma Niketan Peethadhishwar Mandap’. 6000 devotees have visited this exhibition in last 15 days and many devotees showed interest in joining activities undertaken by HJS. Many people have been expressing anger over government for their brethren staying as refugees in own country. 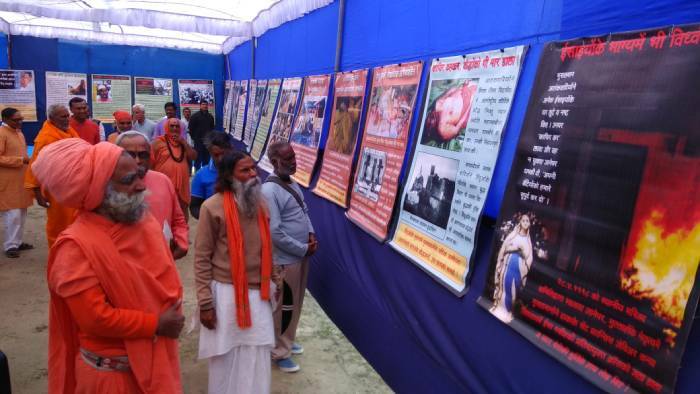 After visiting this exhibition, many people understood seriousness of the issue and called up others accompanying them to ‘Kumbh Mela’ for seeing this exhibition. Few devotees brought their colleague to see this exhibition. 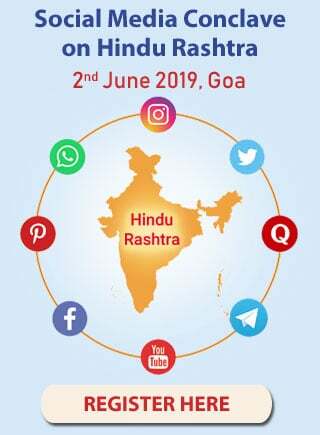 Few devotees said that they were not even aware of blood-shed of Hindus in their own country and felt HJS was doing good job by creating awareness amongst all Hindus by holding such exhibition. 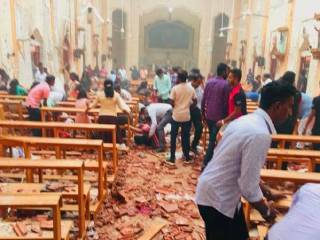 Some of the devotees cannot hold their tears while seeing the photographs displayed in exhibition while some become speechless. 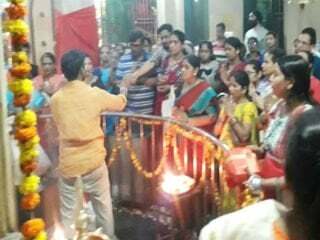 Many people requested to hold the exhibition in their area and were ready to extend necessary help; among them were devotees mostly from Madhya Pradesh, Rajasthan, Mathura in UP and other districts. 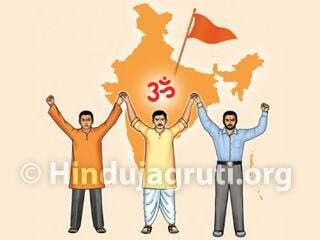 Dr. Vijay Shankar Dubey, President of Bajarang Dal from Bhulamor, Ayodhya said that his organization was also creating awareness amongst people towards Dharma matters and for that, information available with HJS was useful. He took photos of many exhibits and boards and assured to arrange such exhibition in his area. 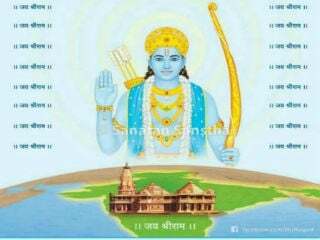 He said that even if HJS activists held such exhibition in his region including nearby villages, he would help in its publicity. A visitor named John from France listened to Kashmir problem in detail. He checked SSRF website and showed interest in joining activities. 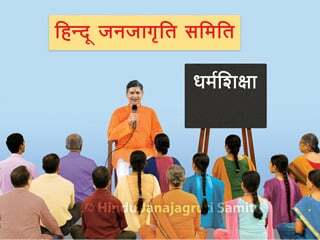 He has come to India for doing ‘sadhana’ since last few years. One rickshaw-driver was passing by the venue of exhibition, carrying passengers. He visited the exhibition hearing the announcements and spent two hours seeing the exhibition.